Fall and winter sundial. 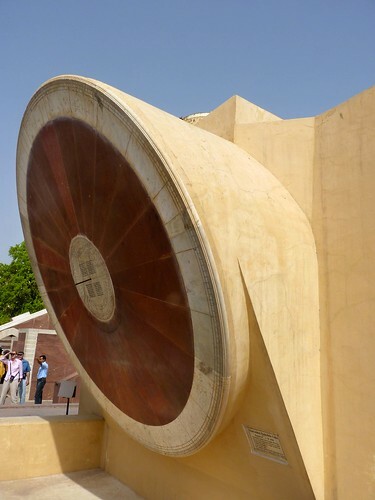 Life-sized astrological and astromonical calculators at the massive observatory Jantar Mantar, built by the restless Maharaja Jai Singh in the early 18th century. Old Jaipur, Rajasthan, India. Tha Narivalaya Yantra, which can help calculate local time to the minute.